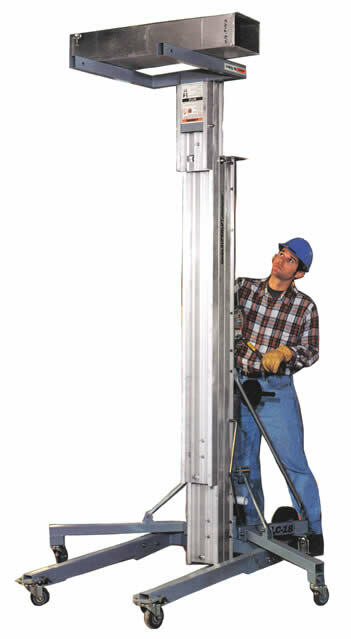 The Superlift Advantage is a manually operated material lift that can be used for a multitude of lifting applications. 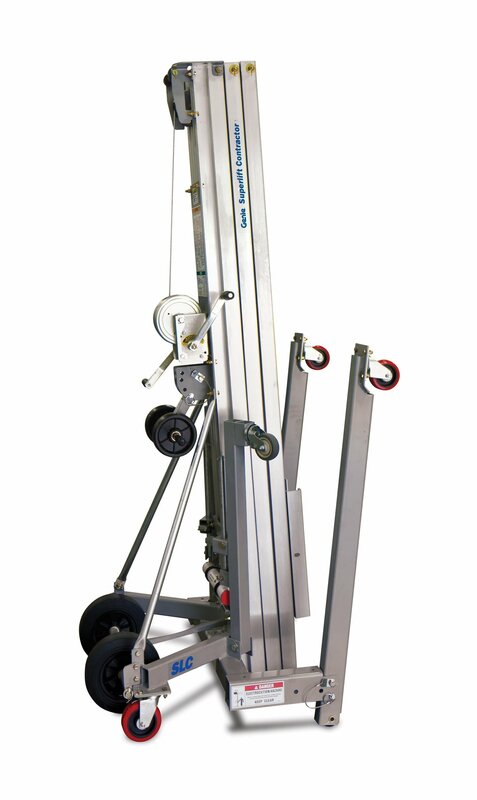 The compact, portable design passes through standard single doorways and is easily loaded into standard panel vans. 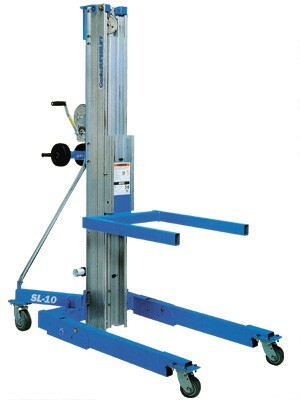 The Superlift Contractor is similar to the Superlift Advantage but offers a lighter unit weight resulting in easier handling in difficult to access applications. As with the Advantage, the Contractor model is compact, passes through standard single doorways and is easily loaded into standard panel vans.